Inspired by the feathered headdress worn by the ballerinas of the Swan Lake ballet, DUVELLEROY headpieces fit on the nape of the neck, thanks to a metalic structure which is adaptable to all sizes of heads. They are hand-made in Paris. 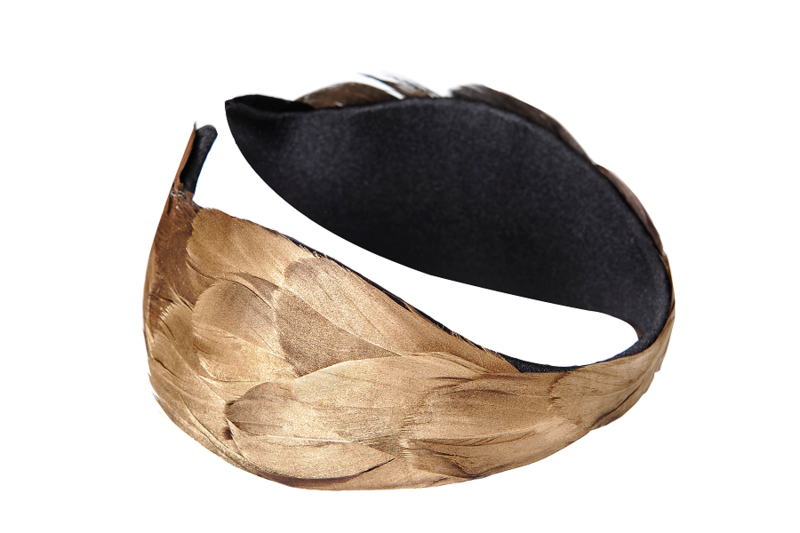 This feathered headdress tainted in antique gold matches both dark and blonde hair, and fits all outfits. A very safe choice!